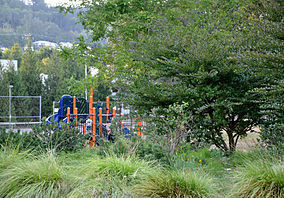 John's Landing is located in Southwest Portland near the Willamette River and the Sellwood bridge. Two main roads run through the neighborhood, those are Corbett and Macadam Avenues. I-5 surounds the district on one side as well as the Willamette river on the opposite side, creating about ten blocks of width and three miles of length.